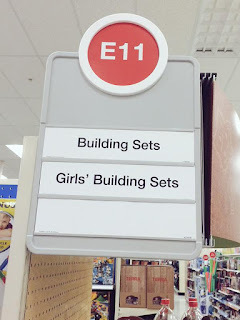 You’ve probably heard by now that Target is rethinking some of its in-store signage, removing gender based distinctions from toy aisles and children’s bedding. Men’s and women’s clothing will still be separated. 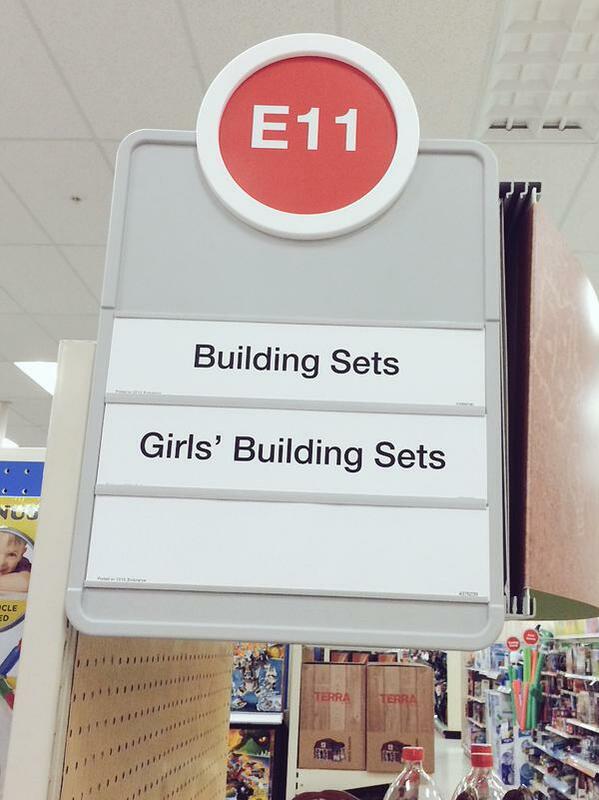 It all seems to have started with a Tweet from Abi Bechtel about an aisle that Target labeled as “Building Sets/Girl’s Building Sets” rather than just labeling the aisle “Building Sets.” But now, my Facebook account is all lit up with posts from friends who are infuriated about what Target is doing. They see it as an affront to Christianity, akin to Bruce Jenner asking a church to let him speak from their pulpit. I’m likely to upset a few of my friends by saying this, but I’m not convinced that this is a battle worth fighting. I don’t agree with self-described feminist Episcopalian Abi Bechtel, and I don’t like it that Target said, “We heard you” when they didn’t even ask me what I thought about it. But in the end, what can we hope to accomplish with this battle? If Target had just quietly removed the labels without issuing a press release would anyone have noticed? Some people see this as taking the doctrine of Bruce Jenner and forcing it down Christian’s throats. Their view is that if we don’t take a stand against this then they’ll force other ungodly stuff on us. I understand that point of view, but what thing of value do we accomplish if we win this battle? Now, let me ask you this: Have you ever seen someone accept Christ because Christians boycotted a store? Do you think that if we throw our weight around and convince Target to leave the signs alone that the executives that made the decision will say, “I see the error of my ways; I repent and I want to ask Jesus to save me?” Do you think that our successfully persuading Target to leave the signs alone will persuade Abi Bechtel or those who follow her that they are sinners and need to accept Jesus Christ as their Savior? I think not. So, why waste our time with this battle? 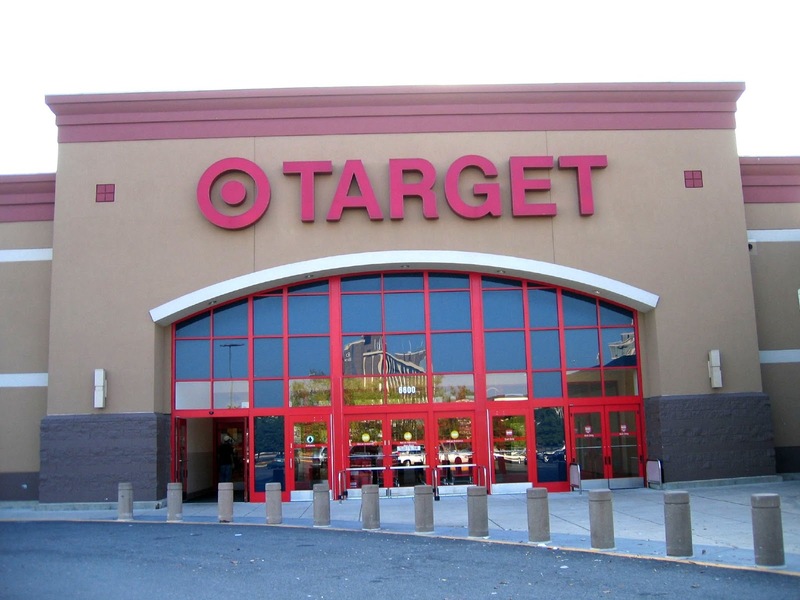 Target doesn’t claim to be a Christian organization, so it shouldn’t surprise us that they do things that aren’t what many Christians would like for them to do. You can buy Bibles and other Christian books at Target, but you can also buy a statue of Buddha. They aren’t trying to make a political statement with those things, they’re just stocking their shelves with the things their customers will buy. We would do well to consider that carefully, because Target’s customers are our friends and neighbors. Remember that skimpy two piece bathing suit that you saw on display at Target this spring? If you go look, you’ll probably see it in the summer vacation photos a friend posted on Facebook. You know those posts asking Target to change their signs? Go check your friends’ Tweets and you may see a few. The battle we ought to be fighting isn’t over how Target should label their signs. The battle we ought to be fighting is over the hearts and minds of our friends. If we get gender specific signs at Target but our friends go to hell, what have we won?